Welcome to our brand new hotel! 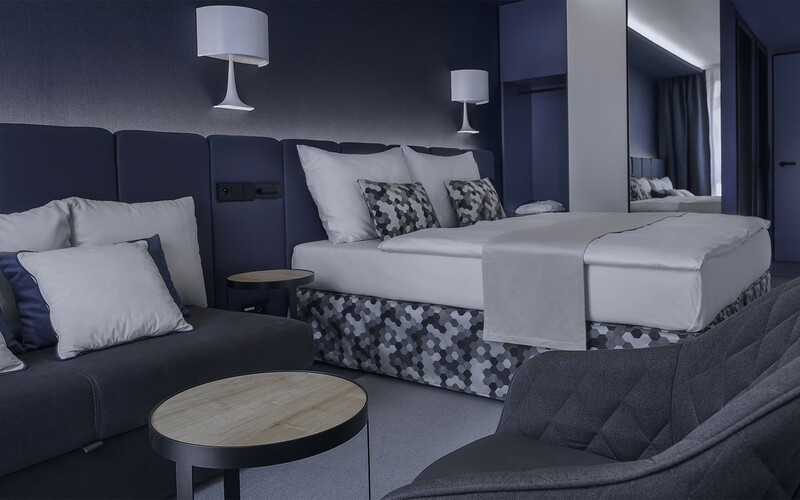 Urban Creme Hotel is a stylish design hotel located in the very centre of Prague in a lively area with plenty of restaurants, bars and cafés, within walking distance to the most popular historical monuments and a few steps from Palladium shopping centre. Metro station Florenc is only a 100 m from the hotel and so are the closest bus and tram stops which makes Urban Creme the perfect gateway to the wider city. Urban Creme boasts 99 rooms designed in a combination of blue and cream colours, offering plenty of space and natural light. Most bathrooms are fitted with shower, some offer a combination of bath and shower. Toiletries and Tea & Coffee facilities are complimentary. Highspeed internet is available free of charge.